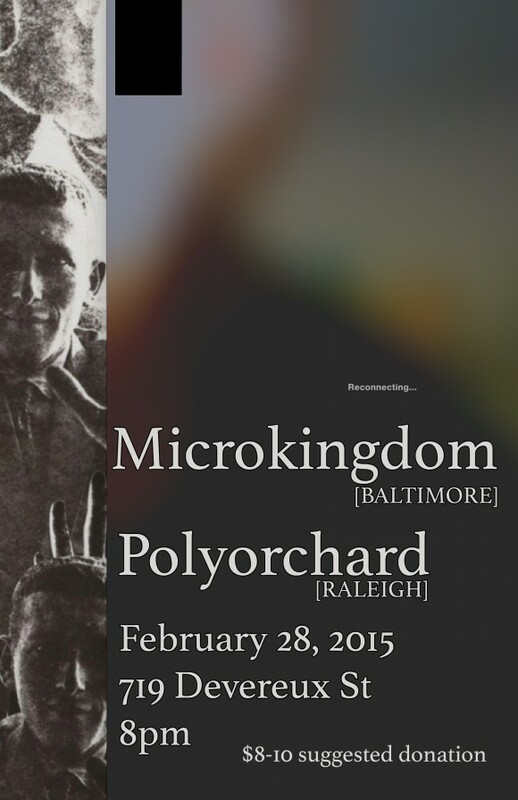 Polyorchard + Microkingdom will be playing a house show on Saturday February 28 at 719 Devereux St. (Raleigh, 27605). Show starts at 8pm with an $8-10 suggested donation at the door, cash only. Polyorchard will be Jeb Bishop, Chris Eubank, Bill McConaghy, David Menestres, & Dan Ruccia.